Today is a day where I dressed up nicely and dolled up a little but in end felt a little lazy, so I stayed at home instead. yesterday was a pretty hectic day, 2 major assignments to hand in. I've been doing my work for the whole week, basically just reading tons and tons and tons of journals where some of the font is pretty, user unfriendly :/ but all is well, manage to work on it, and handed it in. But with Saoirse crashing in and out of their lives, Luke and Elizabeth are desperately in need of some magic. Enter Ivan. Wild, spontaneous and always looking for adventure, Ivan changes Elizabeth in ways she could never have imagined. This is a spontaneous pick just to get one more book for the discount. and I am very very very happy I picked it up! (Thanks KekJin for the recommendation :D). It is a book that is very easy to read. It gave me the happy and lighthearted feeling after finishing it off. :) It also brought me tears, like really tear-rolling-down-the-cheeks moment (especially the part where Elizabeth ran to her dad,*sobs*) Even half way reading it, I already have the urge to reread it. :) and for me I really take time to digest Elizabeth's thoughts, and picturing the emotions and places the author described. It makes me feel like I am inside of the story! I didn't want to start a new book because I am still so much indulged in this one, and also partly, I have tons of work to do. One thing that I find funny is how Westerners look at Imaginary Friend. I bet if it was a Chinese novel, it would be pictured in a creepy way. lol lol. 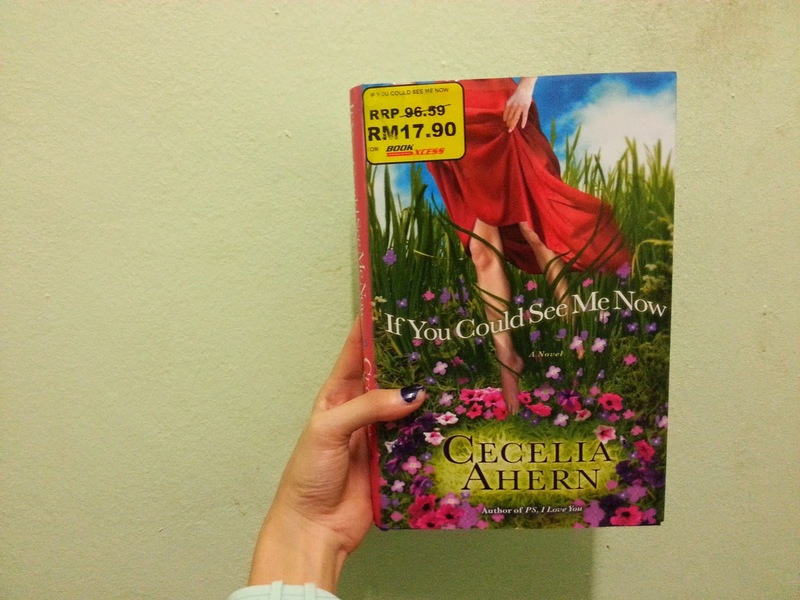 I love how Cecelia Ahern wrote this story, with some thoughts to really think of. There's so many quotes in it that I love. Kinda regret I didn't jot em down on a paper. But definitely my favorite at the moment! It's a love story with some magic in it. Let's go make a wish upon the dandelions and dance by the beach. now where's my Ivan? guys, please go visit Book Xcess in Amcorp Mall (top floor). 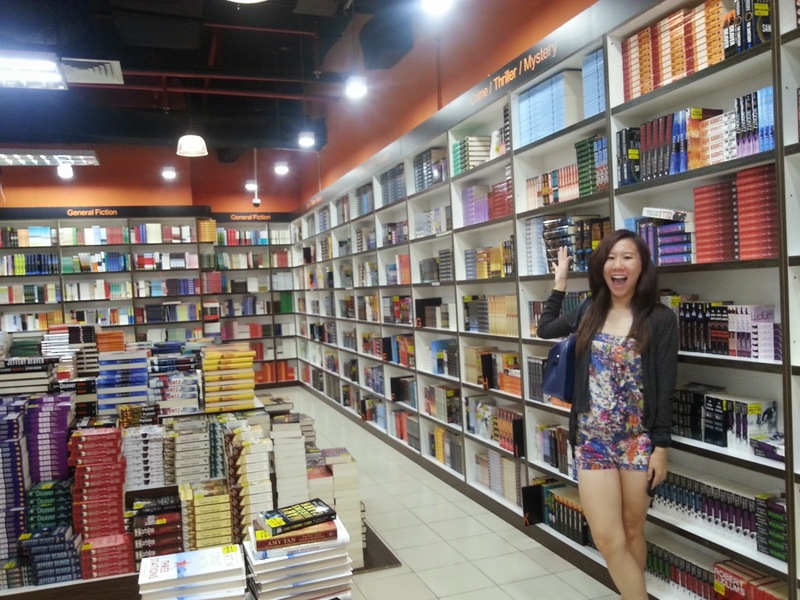 It'll be HEAVEN for all of you who loves books. & it is wayyyyyyy cheaper!!! Just one of my favorite the corner, the thrillers. 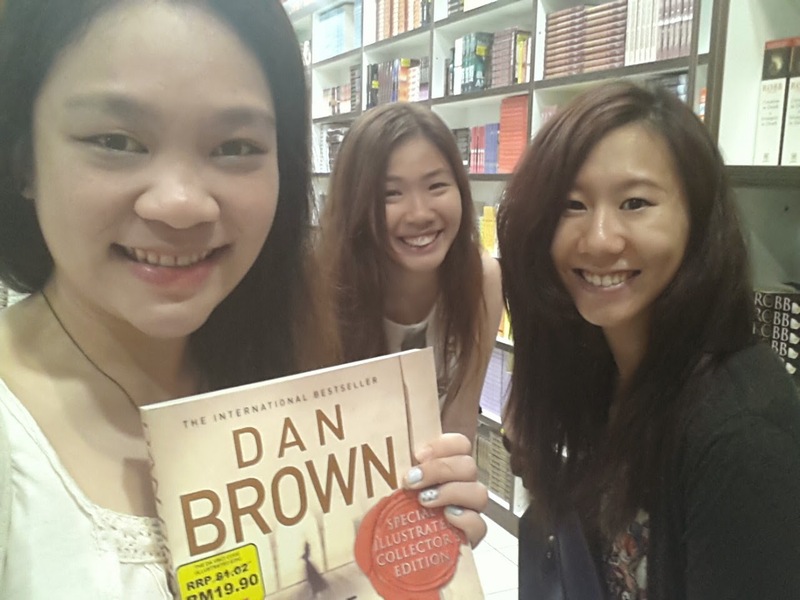 Yup, self-proclaimed Dan Brown Addicts here.